After those early morning coffee runs, long days, and staying on a strict budget, it’s finally payday. You’ve waited for what seems like an eternity for this day to come. This is when all your hard work and efforts pay off. Medium to large companies usually distribute their employees’ payroll through a bank while smaller businesses distribute them personally. 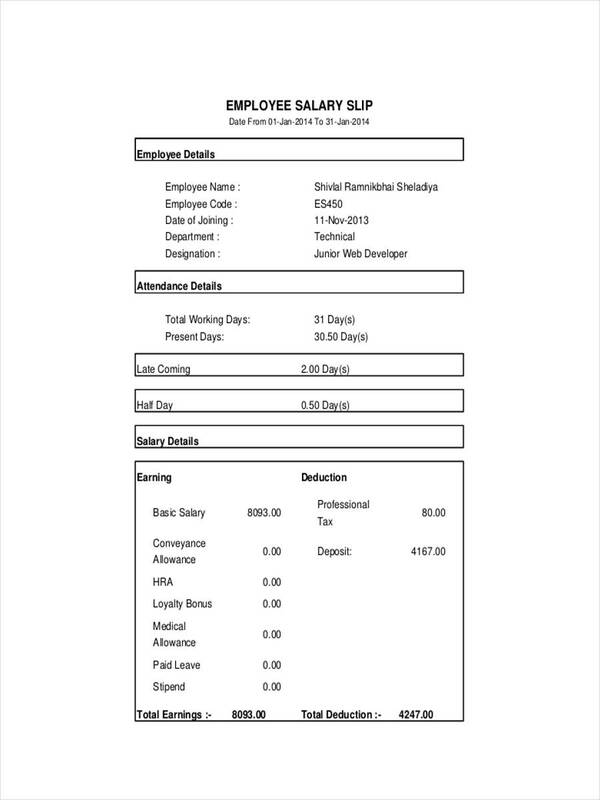 Along with your agreed pay, employers typically provide you a salary receipt example. What Is a Salary Receipt? 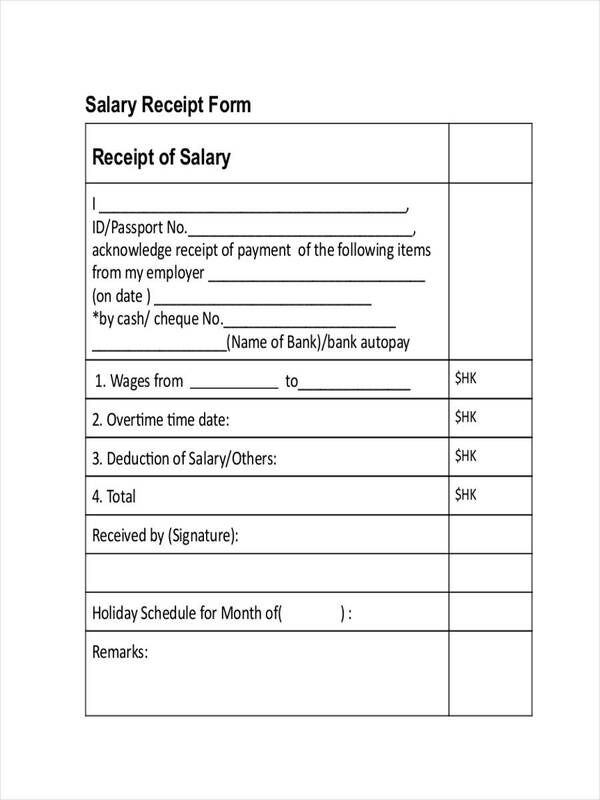 A salary receipt, also known as a salary slip or a payslip, is an official receipt given to an employee once they are paid. It contains the payroll that one is entitled to. A salary receipt does not differ much from a typical sample receipt as it serves a similar purpose. 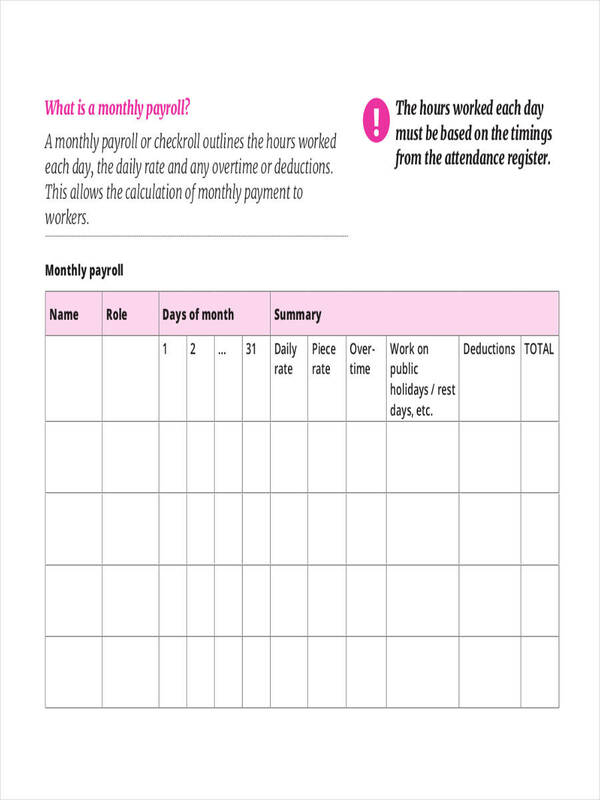 What Are the Components of a Salary Receipt? A salary receipt is a type of business receipt that typically contains a summary of relevant details on one’s pay, including the deducted tax and insurance. Aside from those mentioned, the recipient’s name and other personal details are provided in the receipt. Working days, tardiness, and half days are usually stated as well. As an employee, you are given a salary receipt along with your given pay for you to thoroughly assess. Sometimes, people question the amount they receive as they can sometimes be lesser or more than what they are entitled to. Before you decide to open your mouth, it’s best to refer to the salary receipt handed to you. When you find details that are questionable, you can have this clarified by your employers. It could have been an honest mistake or you may have missed the employee notice sent to you regarding significant changes. It may also be used as concrete evidence for probable disputes. 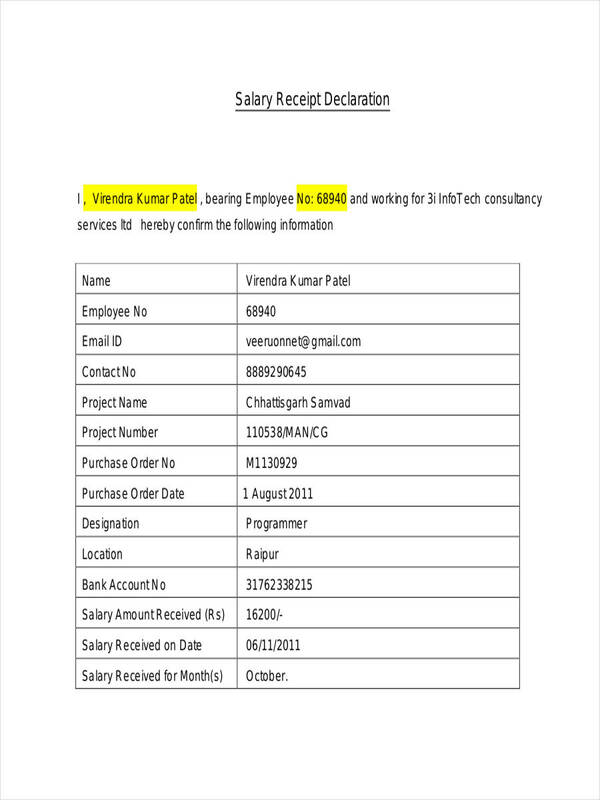 Furthermore, salary receipts are used when making salary acknowledgments and declarations as well. This may come in hand when you’re applying for loans or for your future job requirements. State details clearly. The recipient should be able to easily understand what’s written on the salary receipt. Keep it as relevant and as detailed as possible. Keep it organized. It’s important to keep it neat and clean. This could be anything from the overall layout or the way you list each item. Review details on the receipt. There may be miscalculations on the computation that is sure to be pointed out by the recipient. Even details on personal information will be questionable. Maintain confidentiality. It’s necessary to keep salary receipts private for personal reasons. 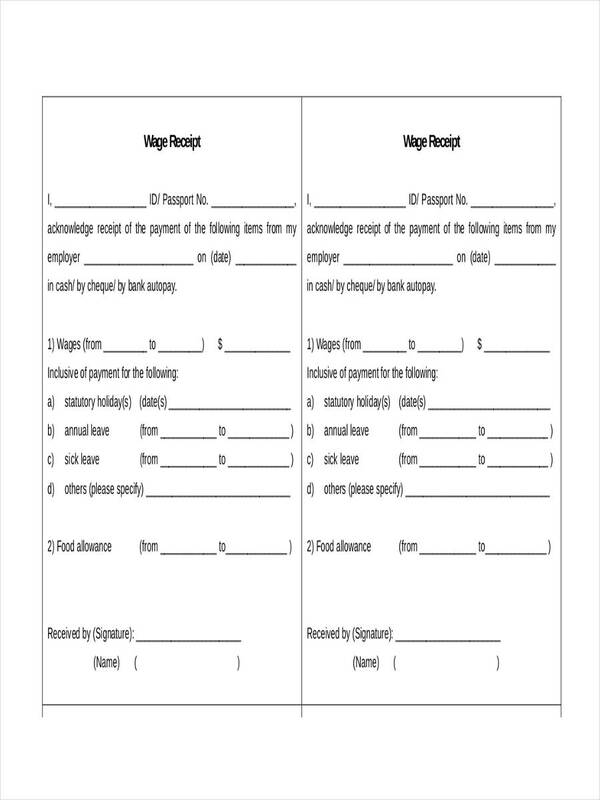 You can do so by distributing salary receipts to their corresponding recipients personally through printed papers or even through work emails.